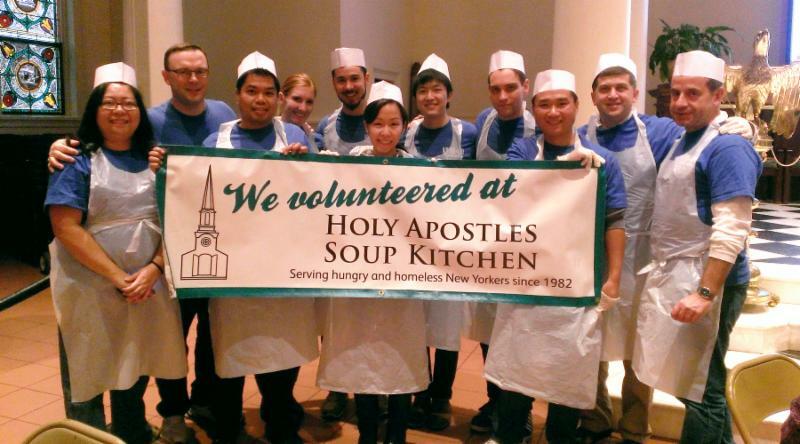 On the day before Thanksgiving, I was privileged, along with 10 of my WS+B colleagues, to spend a few hours volunteering at the Holy Apostles Soup Kitchen (HASK) located in the heart of the Chelsea neighborhood of Manhattan. Although the guests received nutritious, balanced meals, and in many cases, new blankets to take with them to wherever they would be sleeping that night, we were the ones who benefited most. Academically, we knew all about homeless people, how many of them are mentally ill or on drugs or just down on their luck. We knew that the homeless have been more or less visible at various times over the past couple of decades depending on the policies of the administration in power in City Hall. We knew how easy it is to pass these folks by on the street, avoiding eye contact at all costs. What we did not know was how grateful these folks would be for a meal or a little acknowledgement of their existence. What we did not know was how many of the folks who end up at soup kitchens are not necessarily homeless or even jobless, but just don’t have enough to stretch a dollar to get a decent meal. What we did not know was how the line of people would just keep coming and coming. That day, in fact, the total number of meals served was around 700, actually down from a high of 1,200. On average, HASK serves about 1,000 guests a day. By showing up about 5 minutes late, I think I drew the short straw from my group – I ended up with “outside door duty.” The best analogy is to the Walmart “greeter” – my job that day was to greet the guests, control traffic flow, and make sure that they left all large containers (shopping baskets, suitcases, etc.) outside rather than take up precious space in the dining room. What a day it was – cold and raw with a constant wintery mix of rain, sleet, and snow coming down all day. What do you say to a person coming to a soup kitchen for a midday meal on the day before Thanksgiving – “Happy Thanksgiving?” Maybe make some small talk about the lousy weather? I thought either would be a bit insensitive, so I simply used a generic “good morning.” But that did not stop some of the guests from wishing me a Happy Thanksgiving! Or commenting on the weather! One guest even told me that any day that she is alive is a good day. Of course, some did not acknowledge my greeting and one or two were hostile, but the vast majority of the guests were polite, accommodating, and grateful. One day out of the year. Is it enough? People have to eat the other 364 days. We do not delude ourselves to think that this will solve any problems, but it does serve to educate us about a basic human need that is right under our noses but often hidden from view. If this experience causes any of the participants to learn more, do more, volunteer more or donate more, then it will have been well worth the effort. The operation of HASK is impressive to see and, as a human services organization, its mission is both basic and noble: “The mission of Holy Apostles Soup Kitchen, a non-sectarian program of the Church of the Holy Apostles of the Episcopal Church, is to feed the hungry, to seek justice for the homeless, and to counsel and provide a sense of hope and opportunity to those in need. In addition to the food program, we offer a social services center, writers workshop, exercise classes, discussion groups and computer classes.” HASK is highly rated in participant reviews gathered by Guide Star and is accredited by the Better Business Bureau meeting all 20 standards for charity accountability. 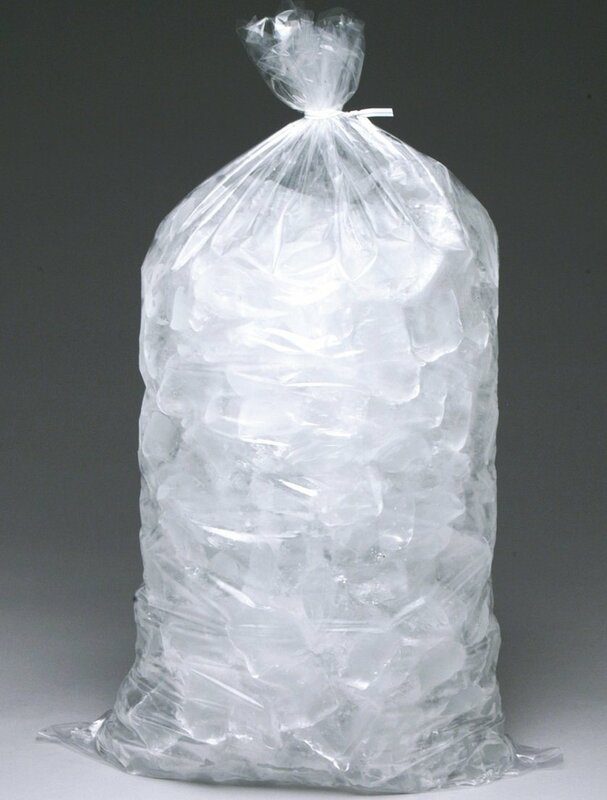 Time for an Ice Cold Time Out! Seemingly out of nowhere it has become all the rage to video one’s self making a pitch for ALS and dumping a bucket of ice water over one’s head. Celebrities? Fuggedaboutit! This ritual is virtually required for them to remain in the public eye. Ordinary citizens? Everywhere. Even one of my more conservative and reserved partners has humiliated himself with this test. And lest you think the insanity is limited to the United States – think again. Just this morning I saw the two kids of an Australian Facebook friend of mine dump an entire cooler over her head. While it may be a fleeting fad, it is certainly having an impact – according to the New York Times, between June 1st and August 13th, participants have shared more than 1.2 million videos on Facebook of themselves partaking in this somewhat odd activity and have mentioned the phenomenon more than 2.2 million times on Twitter. Basically, the “Ice Bucket Challenge” is a brilliant, grassroots marketing idea that originated earlier this spring before being tied to ALS. It works like this – A “friend” challenges or nominates you to participate. Once challenged, you have 24 hours to do the deed, video yourself doing so, and post it on a social media site like Facebook or Instagram. If you don’t participate, well, you are then shamed into donating $100 to the cause. If you do participate, you’ll probably give even more! When you post your video, you then challenge others to do the same. It’s not unlike a multilevel marketing scheme and it’s big time – check out this motley crew if you don’t believe me – former President George W. Bush, singer/songwriter Carole King, entrepreneur/philanthropist Bill Gates, athlete LeBron James, New Jersey Governor Chris Christie (come on, New York Governor Andrew Cuomo, where are you? ), self-promoter Kim Kardashian, and fallen teen idol Lindsay Lohan. The good, the bad, and the ugly – the list goes on and on, but at this point I’m tired of inserting hyperlinks about famous people. I would embarrass some of my close associates, friends, and family who have participated, but I suspect that would not be much appreciated (although I did consider it Bob, Steve, and Sharon)! The serious part, of course, is the cause – raising awareness of the disease and the funds to fight it. ALS is more commonly known as Lou Gehrig’s disease, a debilitating condition that attacks nerve cells and eventually leads to total paralysis and death within two to five years from the date of diagnosis. 30,000 Americans are afflicted with this condition, but prior to the challenge, public awareness was fairly low. Now? Well, the numbers don’t lie. According to a recent press release from the ALS Association. Wow! Truly impressive! Certainly, we can’t expect such a fundraising pace to keep up, but for now it is a shot in the arm for the ALS Association. Yes, there are critics and cynics. There always are. And each of us has to decide for ourselves what causes we support and play a part in. But the runaway success that the ALS Association has experienced underscores a very important point. Donors must be engaged at a level that works for them in order for them to open up their wallets. This silly little ice bucket ritual, made possible because of the social media revolution and cheap video, has gone viral and grabbed millions because it engages folks at a very basic level and makes them feel part of something far bigger than themselves. It’s not the same as donating a bunch of money to a university and getting your name on a building, but it plays on the same emotions – the need for recognition and a desire for personal satisfaction. Engagement can be built in many ways. How about all the groups that sponsor some form of physical activity requiring sponsorship (fundraising) to participate? In the past, I have participated in Team in Training, the Leukemia and Lymphonia Society’s approach to physical fundraising. In my case, I rode in a “century” bike ride (100 miles). Truthfully? I signed up because I wanted to do the ride, and TNT/LLS seemed like a decent organization. I wasn’t particularly connected to the cause. TNT/LLS provided three months of on-the-road training and plenty of encouragement and camaraderie. The fundraising commitment was fairly steep but I accomplished it and, guess what? I am now a fan for life of LLS. My awareness of blood cancers was raised while my desire for engagement was satisfied. In this hyper-connected and frenetically paced world, all organizations have to find ways to stand out and be noticed. It’s not easy by any stretch. Those who are successful know that it’s not just about raising money – it’s all about engagement.